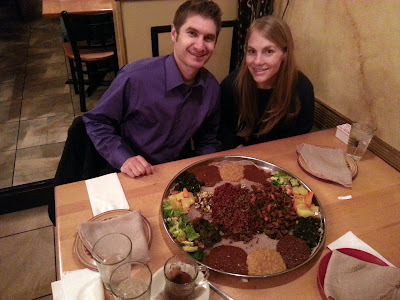 Somewhere between 5 and 10 years ago, Shira and I went out of our way to try Ethiopian cuisine. I'm a pretty flexible guy when it comes to what I eat, but after a few blah attempts, we just couldn't get into it. I more or less wrote it off as a type of food I just wasn't intended to eat. 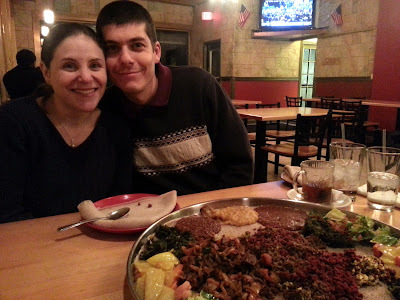 A few weeks back, we finally got around to re-testing this assumption by visiting KaRaMaRa - an Ethiopian place on Columbia Pike, walking distance from our house. I've got to say, it was really good. We mainly ordered vegetarian items, and they had a consistency and flavor very similar to Indian food (which we very much like). The family style serving, and eating with your hands made for a fun adventure. I still wasn't overly in love with the cold, spongy bread, but of course, that's standard Ethiopian fare. The highlight was the side order of tilapia, which turned out to be a whole fried fish and was absolutely delicious. It was especially surprising, because it was a $3.99 add on to the vegetarian sampler. With one positive experience under our belt, we thought we'd try another, even closer restaurant to us: Dama Restaurant. This time, we went on a double date with my brother and his fiancee. The experience started much like Karamara -- ordering a bunch of dishes, but not knowing what we were going to get out of it. 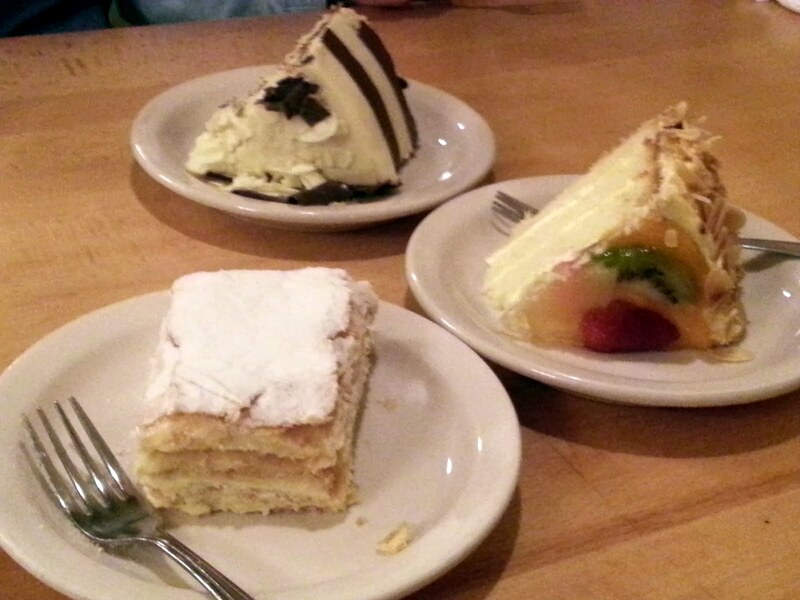 In the end, we just asked the waitress to bring us some good vegetarian food. A while later (neither Karamara or Darma had anything resembling fast service) we were again delivered a big tray of family style food. To our surprise, a few of the dishes looked very much like meat. We were, however, told that they were certainly not meat, but vegan alternatives. After tasting them, we confirmed that: (a) it wasn't meat, and (b) they were wonderfully tasty! Darma also has an amazing desert selection, which for completeness, I had to sample. Yum! 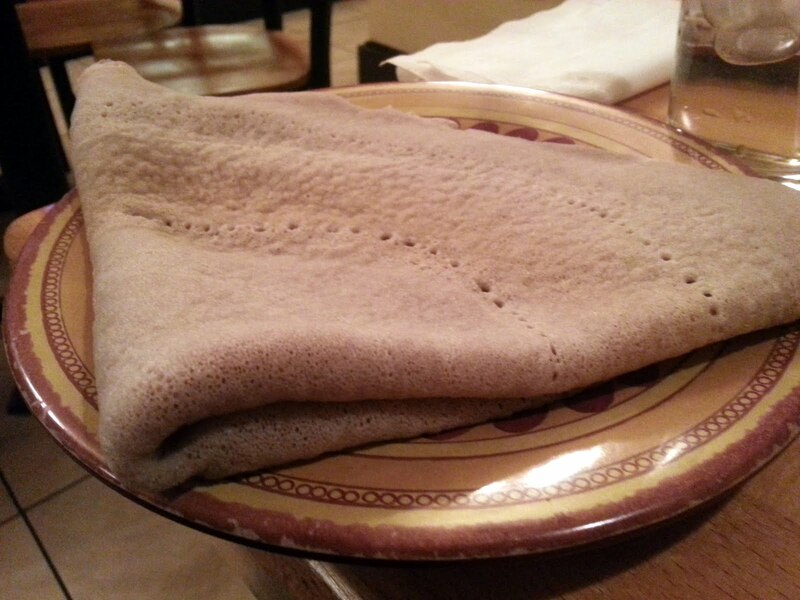 All in all, my views of Ethiopian food have been reversed. Darma turns out to be an awesome option if you eat vegan and like the fake-meat options. You won't be disappointed.